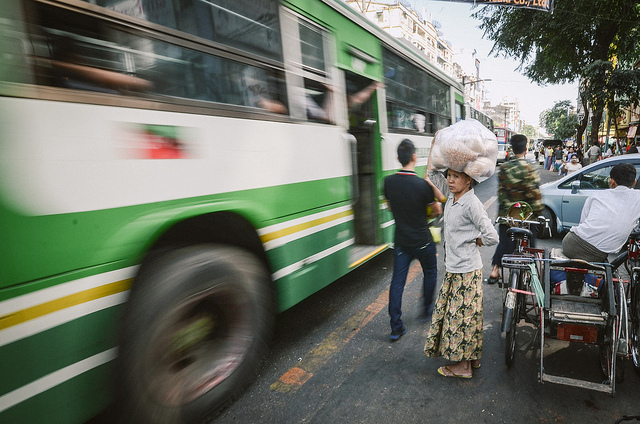 Great expectations: What are the prospects for Myanmar under its new government? As it comes in to government, Aung San Suu Kyi’s National League for Democracy faces a raft of ongoing and complex challenges that will challenge the people’s sense of hope and expectation, writes Trevor Wilson. Myanmar will soon have a new government with greater legitimacy than any previous government in the country’s history, thanks to the popularity of the winning party in the 2015 elections – the National League for Democracy (NLD). It’s also thanks to the transparency of Myanmar’s whole electoral process. While this dramatic election victory has been widely greeted as a triumph for democracy, and as the definitive end of authoritarian rule in Myanmar, it remains to be seen whether this is “a new dawn for old business.” Most of Myanmar’s problems will take time to resolve, and even making improvements may not happen quickly considering the complex issues immediately facing Aung San Suu Kyi’s government. What is striking is the extent of popular expectations of the NLD; Myanmar people hope the party can quickly resolve problems that have divided and set back Myanmar for generations. How will Myanmar’s new government demonstrate that it possesses the capacity to manage the country’s major national issues over the next five years? A reasonable question to ask, at this stage in Myanmar’s delicate political transition, is what outcomes are expected with major national issues under a new government and how will the NLD’s standing be affected in the next few years. In broad terms, the two major matters of (related) unfinished business are the process of national reconciliation and the consolidation of peace (in socio-economic terms as well as in political terms). These are both issues in which the NLD and Aung San Suu Kyi, in particular, are keenly interested. Also, there may not be a great deal of difference between the overall approach of the Thein Sein government and that of an NLD government, although significant differences in style and the handling of contentious may emerge. On reconciliation, there are grounds for slight optimism about reconciliation between the NLD and the Army. The current Commander in Chief, Senior General Min Aung Hlaing, seems disposed to reach out to Suu Kyi — although it remains to be seen whether an enduring arrangement between them can be consummated. Ongoing relations between the military and the NLD are likely to call for deft and careful management of the various issues, possibly leading to some natural wavering in the relationship at times. What might happen to this relationship when Aung San Suu Kyi departs the political scene is far from clear. No doubt all concerned would hope to leave a legacy of stability and pragmatic collaboration between the army and “progressive forces” for the sake of national cohesion, knowing that the country still has much “catching up” to do. Continued emphasis on increased transparency in policies and politics would assist Myanmar to achieve this goal. However, on the questions of a possible reconciliation between Myanmar’s Buddhists and Myanmar’s Muslims, and especially the Rohingya, there are fewer grounds for optimism, and here it may be international expectations that are rather unrealistic. Conflict has existed in Myanmar over Muslim migration from Bangladesh from historical times, and many Rohingya were never granted Myanmar citizenship, although considerable numbers were. Previous governments deferred any resolution of a problem, which proved impossible to achieve a reasonable national consensus. Under military rule, successive regimes resorted to an interim “solution” based on segregation of the two communities. It is not clear that the incoming NLD government can easily reverse previous arrangements under which a measure of co-existence had been possible, yet the current ad hoc situation is probably unsustainable. On achieving lasting peace and appropriate socio-economic development, it is hard to be optimistic, given the sorry history of highly centralised modern Burma, and given the struggle to secure the “nationwide” cease-fire agreement pushed so determinedly under the Thein Sein government. Political reconciliation is inevitably closely connected to the issue of federalism, or decentralisation and proper recognition of regional aspirations. On these key questions, both the Thein Sein government and the army shied away from firm decisions, alarmed by the unexpected outbreak of communal violence in 2012. And even Aung San Suu Kyi and the NLD seem nervous about taking any bold or risky decision on a real decentralisation of power and authority, let alone a “federal” system of government. Regional communities seem doubtful that an NLD Government would really allow Bamar/Burman interests to be subsumed by ethnic interests in regional areas. On foreign policy, generally, it could be argued that bi-partisanship has dominated Myanmar’s international relations with the important exception of sanctions – which Myanmar’s military-dominated regimes opposed while the NLD broadly supported. The lifting of most sanctions after Myanmar’s April 2012 by-elections meant that this point of differentiation between the major parties has disappeared. Myanmar’s “non-aligned” foreign policy is now supported by all concerned, as is active participation in ASEAN, and pursuit of constructive relations simultaneously with China, the United States, and India. Recent years have seen both major parties devote some priority to the smooth conduct of Myanmar’s relations with the major powers for Myanmar – China, the United States, and India. A new NLD government will not bring any particular advantages – or disadvantages – in foreign policy, despite the superficial impression that the NLD would enjoy stronger relations with Washington and its allies. If anything, China will be inherently suspicious of an NLD government, even when those suspicions are not really justified or soundly based on substantive problems. As some experts on Myanmar have noted, the capacity of Myanmar’s human resources and domestic institutions to carry out a complex post-election agenda of more contentious reforms will probably remain the main issue for the near future. Most of the key Myanmar institutions that might underpin changes by a new NLD-led government are only now being strengthened and reinvigorated after years of being actively deprived and cut off from essential sources of capacity building and modern innovation. Even if Myanmar’s institutions possess adequate knowledge, they are likely to lack the technical or physical resources to undertake the sort of ambitious, multi-year programs that are needed. Disappointed expectations are almost certain to feature prominently and repeatedly over the next few years. Even with the best of intentions and enjoying the strongest political legitimacy of any government in modern-day Myanmar, the incoming NLD government is probably facing a continuous barrage of requests and demands that it would like to meet but is not actually capable of doing so. Additional external assistance is not necessarily a solution on its own, although fortunately most international agencies now seem committed to long-term capacity building assistance to Myanmar.